Ozhotels provides business and leisure travellers with a directory of independently owned and non-related hotels and serviced apartments providing accommodation in South Yarra, Melbourne. Oz hotels allows you to deal directly with the hotels and apartments in South Yarra, hence giving you the best possible rates for this luxury and budget South Yarra accommodation. Book your accommodation online directly with the hotels in South Yarra, Melbourne and receive discount rates for longer stays !!! South Yarra is a fantastic inner city suburb situated only 4 kms from the Melbourne CBD. As the name suggests, South Yarra is located on the southern bank of the Yarra River in one of Melbourne prime real estate districts. 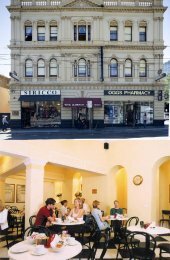 South Yarra is well known for it shopping and the main shopping region is along Toorak Road and Chapel Street. The shops along these two cosmopolitan streets is mainly focused on trendy shopping, fine dining, nightclubs and the bourgeoning cafe culture. The best known landmark along Chapel Street is the The Jam Factory, which is an old jam factory that has been stylishly converted into an upmarket shopping centre complete with mutiplex cinema. 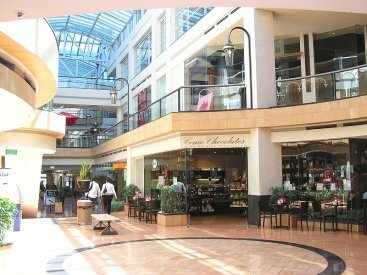 The Como Centre is also a large shopping centre with exclusive shops and designer labels, situated on the corner of Toorak Road and Chapel Street. Apart from a range of luxury hotels and fully self contained apartment accommodation South Yarra also features a number of public parks and gardens including part of the Royal Botanic Gardens and Fawkner Park which has a large array of recreational facilities and is located just behind the commercial offices along St Kilda Road. 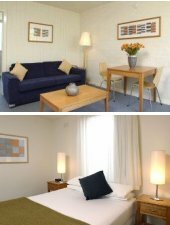 The Amity Apartment Hotels South Yarra provides spacious, modern, quality studio, 1, 2 & 3 bedroom self contained serviced apartments located in trendy South Yarra, off cosmopolitan Toorak Road and within walking distance to the renowned Chapel Street shopping and dining precinct. 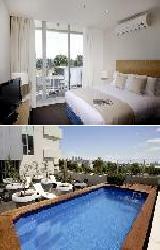 The Amity Apartment Hotels South Yarra provides all types of travellers with discount accommodation in South Yarra. It also features a wide range of modern amenities and services such as conference centre, direct internet access, faxing facilities, guest laundry, gym & fitness equipment, lift, spa, outdoor swimming pool, tour desk, baby cots available and babysitting service. Amity Apartment Hotels South Yarra accommodation takes its 4.5 star rating seriously ensuring that guests always receive the best possible service and attention. 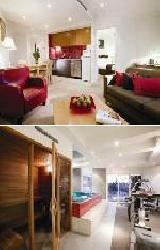 Amity Apartment Hotels South Yarra will delight the most discerning leisure and corporate traveller. 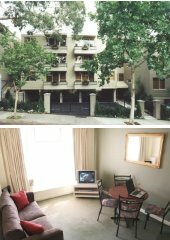 The accommodation at the Oaks Pinnacle comes in the form of stylishly appointed 1 bedroom self contained serviced apartments that are centrally located in South Yarra, which is just a short train or tram ride away from the Melbourne CBD, MCG, Melbourne Park Tennis Centre and Southbank precinct. The newest standard of living to arrive in the cosmopolitan and trendy suburb of South Yarra, the Oaks Pinnacle Serviced Apartments offers self-contained apartment accommodation with a myriad of in-room conveniences. The Oaks Pinnacle provides all types of travellers with discount accommodation with features ranging from direct internet access, lift and secretarial services through to tour desk, bbq facilities and baby cots for hire. 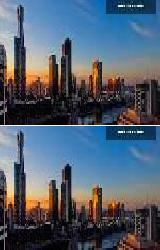 For guests wanting to soak in Melbourne panoramas from a different vantage point you can do so from the Oaks Pinnacle Apartments roof top terrace. Conveniently located in the heart of South Yarra these fully self-contained 1 and 2 bedroom South Yarra apartments come in a range of styles which have been specifically designed to suit everybody's budget. The Darling Towers South Yarra accommodation is situated only metres from Toorak Road and Chapel Street where there is an abundance of restaurants, cafes, bars and boutique shops. Tram and train access to the Melbourne city centre, MCG & St Kilda Road business district is within walking distance of this discount South Yarra accommodation. 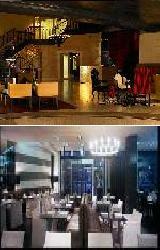 The Royce Hotel is recognised as one of Melbourne's finest designer five star boutique hotels. With stylish hotel rooms and suites, an award winning restaurant and chic bar, the Royce hotel offers a unique experience for the discerning corporate or leisure traveller. 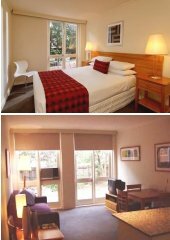 Ideally located on Australia's most famous boulevard, St Kilda Road, the South Yarra accommodation provided by the Royce Hotel is also within easy walking distance to the fashionable shopping and restaurant precincts of Toorak Road and Chapel Street, Melbourne CBD, Royal Botanic Gardens, Shrine of Remembrance, Southbank and Albert Park Lake. The Royce has a variety of beautifully appointed spacious rooms and suites, furnished with contemporary furniture, allowing guests to relax in five star comfort. With a large range of luxury hotel facilities and serviced the Royce Hotel is suited to discerning corporate or leisure travellers who are after excellent personalised, non obtrusive service. The Quest Windsor has a range of 1 & 2 bedroom self contained serviced apartments that are located in trendy Prahran, which is only 5 kms from the Melbourne CBD. Conveniently positioned just a short tram ride to the city centre, Quest Windsor Serviced Apartments are nestled between the shopping and dining strips of Chapel Street, South Yarra and cosmopolitan St Kilda. The Quest Windsor in Prahran is close to everything that the city has to offer, as well as having a numerous guests facilities and services including conference centre, direct internet access, guest laundry, lift, tour desk, baby cots and babysitting service. Quest Windsor Serviced Apartments takes pride in offering personalised service, quality accommodation and making sure you have everything you need for a comfortable stay. These Darling Towers Apartments are rated 4 star and provide elegant and spacious 1 and 2 bedroom apartment accommodation in the heart of South Yarra, Melbourne. These fully self contained South Yarra apartments are located metres from the restaurants and shops of cosmopolitan Toorak Road and Chapel Street as well as walking distance to the Royal Botanic Gardens, Yarra River and public transport to the CBD. Corporate business executives will love the extra space and stylish appointments found in this quality South Yarra accommodation. 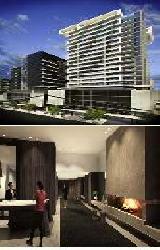 Punt Hill South Yarra grand is the most recent addition to the Punthill Apartment Hotels group. It provides corporate and leisure guests with state of the art South Yarra accommodation close to the St Kilda Road business precinct and the cosmopolitan shops and restaurants of Toorak Road and Chapel Street. This new apartment accommodation in South Yarra has a contemporary and stylish design with a choice of studio, 1 and 2 bedroom fully self contained apartments complete with full kitchen and laundry facilities, LCD TV's with Foxtel and broadband internet access. At Punthill Apartments South Yarra Grand guests will enjoy the facilities of a hotel with the amenities of luxury apartment accommodation. The warm, friendly staff and outstanding service will ensure that your stay in this luxury South Yarra accommodation is one to remember. The Quest on Chapel Serviced Apartments is located on cosmopolitan Chapel Street and near fashionable Toorak Road, making it the ideal South Yarra accommodation choice for the business, corporate and leisure traveller. Quest on Chapel is within walking distance to a range of renowned boutiques and restaurants and with public transport on the doorstep, it is only a short trip to the Melbourne city centre, Albert Park Lake, Melbourne Aquatic Centre, St Kilda Road and South Melbourne business precincts, as well as many fashionable shops and restaurants. Quest on Chapel in South Yarra is committed to providing the ultimate in serviced apartment accommodation with all of the spacious one and two bedroom apartments being fully furnished to the highest standards. 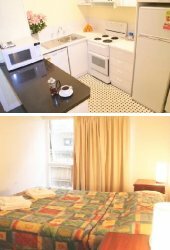 All apartments are non smoking, soundproofed, offering guests an ideal alternative to a traditional hotel room with fully equipped kitchen and laundry facilities, as well as a wide selection of guest services and facilities. Discerning corporate and leisure guest will really appreciate the luxury furnishings, technology and service at the Olsen Apartment Hotel in South Yarra. With a choice of 5 star studio suites and 2 bedroom apartments this fine property exceeds expecations and features an array of murals and sculptures adorning all of the hallways and suites. The Olsen Hotel is located on Chapel Street in exclusive South Yarra, the heart of Melbourne fashion, shopping, restaurants and cafe culture. Guests staing at this South Yarra accommodation can discover all of the nearby attractions including fabulous restaurants and boutique shops that display the finer things in life. The Olsen Hotel is complete with first class facilities including a full-service health spa, massage room, state of the art gymnasium, glass bottomed swimming pool, sun deck, 24 hour reception, concierge, room service, restaurants, bar, Wi-Fi internet access, airport transfers, babysitting services, bicycle hire, tour desk and daily housekeeping. The Olsen Hotel introduces South Yarra to a new level of luxury boutique accommodation. The Cullen Hotel in Prahran has walls adorned with art and sculptures by contemporary artist Adam Cullen, which makes it and absolute delight to stay in this new luxury boutique hotel. 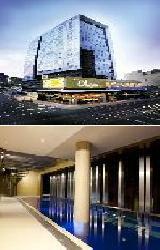 This hotel accommodation is ideally located in the fashionable suburb of Prahran on Commercial Road, directly opposite the celebrated Prahran market and walking distance from Chapel Street with its many wonderful shops, restaurants, cafes and nightlife entertainment venues. 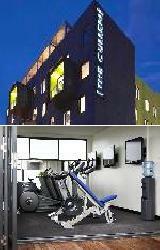 The Cullen Hotel Prahran is located just 29kms from Melbourne airport and within 5kms of Melbourne CBD. The Cullen blends art, style and comfort to create an unmissable hotel experience, offering a choice of studio apartments and luxurious 2 bathroom suites. The Cullen Hotel also offers an exciting range of guest facilties including restaurants, bar, lounge, 24 hour reception, 24 hour room service, state-of-the-art gym, tour desk, airport transfers, security, housekeeping daily and secure car parking. 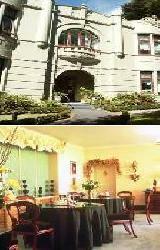 The Claremont Guest House provides travellers with budget South Yarra accommodation on the cosmopolitan Toorak Road. Hotel Claremont and the 3 star discount hotel accommodation that it provides is ideal for large groups, international travellers and travellers looking to be amoungst all of the action of South Yarra. This South Yarra accommodation provides the best rate backpacker accommodation in South Yarra as well as having restaurants, cafes, boutique shops, bars, nightclubs, trams and a train station all at its doorstep. Guests can even catch a movie at the nearby Jam Factory shopping centre or take a walk to the Melbourne Royal Botanical Gardens or along the Yarra River to the MCG, Melbourne Park Tennis Centre and Melbourne city centre. The Punt Hill Apartments in Davis Avenue South Yarra has a range of studio apartments and more spacious one bedroom apartments. This great value South Yarra accommodation is perfectly located on a quiet street only a short walk to Toorak Road and the many boutiques, restaurants, cafes, bars and nightlife entertainment that South Yarra is famous for. Guests who don't want to relax in the comfort of their own apartment can also choose to relax in the nearby Melbourne Botanical Gardens or take a stroll along the scenic Yarra River. 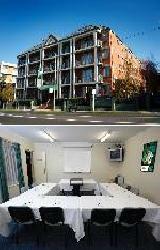 These Punt Hill Apartments are located on top of the hill on Punt Road in South Yarra. Easily accessible from this South Yarra accommodation are all of Melbourne's famous tourist attractions including the MCG, Melbourne Park Tennis Centre, Federation Square, Shrine of Rememberance, Sidney Myer Music Bowl, Yarra River, Albert Park and the Royal Botanic Gardens. With a choice of one and two bedroom apartments and 2 bedroom townhouses complete with complimentary off street car parking this South Yarra accommodation has discount rates available for longer stays. The Toorak Manor is an elegant heritage style English B & B hotel that is housed in a gracious 19th century Victorian mansion. It is surrounded by an enchanting garden and is ideally positioned in the heart of Melbourne's most fashionable inner city suburb - Toorak. The Quality Inn Toorak Manor historic hotel is a fantastic base from which to explore Melbourne whilst enjoying the relaxing and historic atmosphere of yesteryear in comfortable boutique accommodation. This Toorak accommodation could not be better placed because it is within easy walking distance to the exclusive shopping on Chapel Street, Malvern Road and the Toorak Village in South Yarra, which is renown for its cafes, galleries, restaurants and antique shops. Public transport via tram or train is also close by making the Melbourne CBD, MCG, Victorian Arts Centre, Rod Laver Tennis Centre, Royal Botanic Gardens, Crown Casino and the Grand Prix Circuit only minutes away. The Toorak Manor Hotel has been restored beautifully with a grand staircase, rich velvety furnishings, plush carpets, high ceilings and gracious rooms. If you like the finer things in life then you will appreciate the 5 star luxury hotel accommodation at The Como Melbourne in South Yarra. Providing a range of deluxe hotel suites and studio apartments this South Yarra accommodation is perfectly located on the corner of Toorak Road and Chapel Street close to the boutique fashion shopping and fine dining that South Yarra is famous for. Also close to this luxury South Yarra accommodation is the Melbourne Botanical Gardens, MCG, Yarra River and of course the exclusive shopping and cinemas in the Como building itself.